I was less than a year away from graduating college when my world was turn upside down. 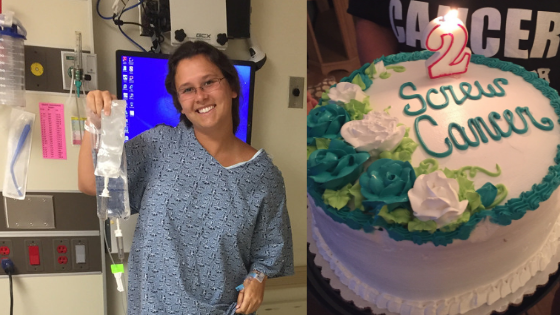 Three weeks after turning 23, I was diagnosed with cervical cancer on January 4th, 2016. I had so many questions about life and why this was happening to me. I was so mad at my body for betraying me, for trying to kill me. After a few different surgeries, I ultimately underwent a radical hysterectomy in May of 2016. 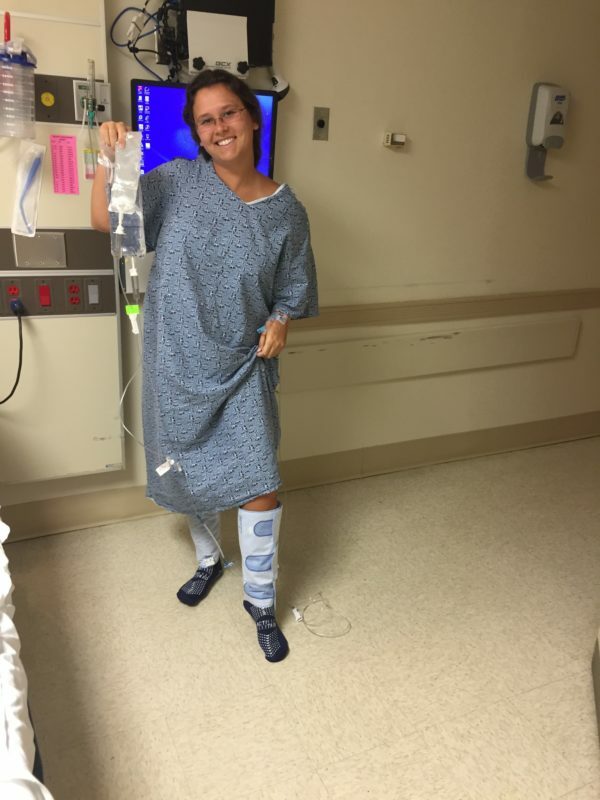 Suddenly, I was cancer free and my “battle” was over…or so I thought. I’m happy to say that I am still cancer free. Although I have been in remission for almost three years, I never anticipated the challenges that would come along with being a survivor. Throughout my treatment, I felt like I was just going through the motions, just doing whatever I needed to do to keep living. Looking back, having cancer was easier than what I experienced afterwards. I had to cope with the realization that I was robbed of my fertility. Being a survivor made me feel like an outcast, I wasn’t like everyone else my age. I wouldn’t ever be pregnant, I had hormonal imbalances, physical and emotional issues with intimacy, nerve damage in my leg, 5 fresh scars on my stomach, weight gain, fatigue, bowel and bladder complications, and constant anxiety about a possible recurrence. I still deal with the side effects of cancer, but I am grateful for every day that I have, whether it’s a good day or a bad day. I’m still learning how to embrace my survivorship and figure out my “new normal” but this has been so much easier with an amazing support system. In addition to my family and a few close friends, I have found resources that have made my life as a survivor so much more meaningful. During treatment, I was desperate to find other women that I could relate to. I quickly became involved with Cervivor, a non-profit dedicated to cervical cancer awareness and prevention. 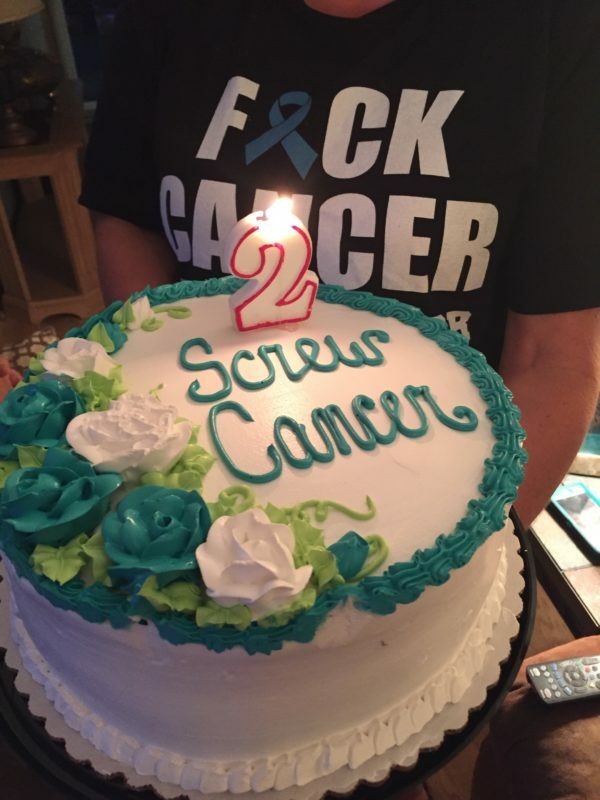 I met other cervical cancer survivors and became an Ambassador for the organization. As a Cervivor Ambassador, I advocate and educate the community (specifically young adults) on cervical cancer, HPV prevention and sexual health. Another amazing organization I found was First Descents, which provides week long adventures to young adult cancer survivors. This is where I really found people who “got me” and truly understood what I had been through and what I deal with daily as a young adult cancer survivor. Last summer, I stumbled upon the Ulman Foundation and their Cancer to 5K training program. I was trying to find ways to get back in shape and lose some of the weight I gained from cancer. I was partnered with an online coach that provided 12 weeks of workouts, endless words of encouragement and animal memes to keep a smile on my face (thanks Keith!!!). After the 12 weeks, I participated in my first 5k in Murrells Inlet, SC. The Cancer to 5K program helped me realize that even after cancer, my body is still capable of so many incredible things. Today, I’m still involved with Cervivor, First Descents, and the Ulman Foundation. I am so grateful to have found resources that have improved my quality of life as a survivor and brought so many incredible survivors into my life that are now dear friends.